“I want to set an example for my kids and have them learn there is such an importance to give back to others.” Allison Watson has never been much of a cyclist. So why then has she chosen to fly to New Zealand in three days’ time to ride an enormous 95km in the Lake Hawea Epic Bike Race? All to raise money for Chris O’Brien Lifehouse. 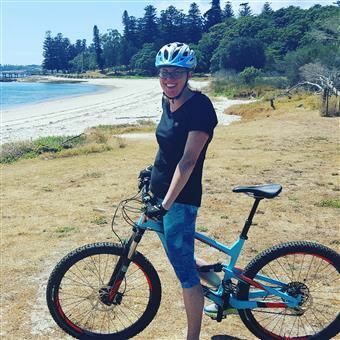 Learn more about Allison’s training and support her in this epic ride by donating at http://donate.mylifehouse.org.au/my-fundraising/334/lake-hawea-epic.